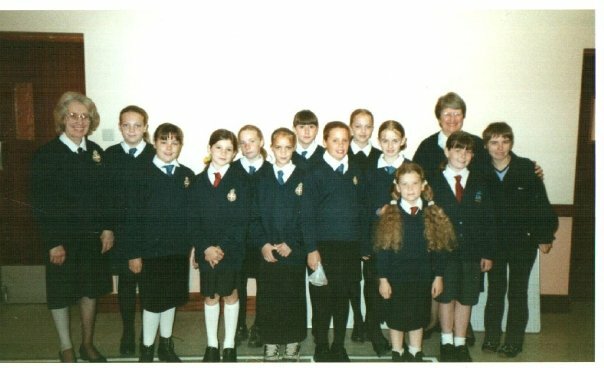 I have surprisingly few memories of my time as a member of the Girl’s Brigade, considering that I went every week for years. Perhaps it’s because so much of it blends together that I can no longer pick it apart, because if I really concentrate I can remember snapshot images of many different things. 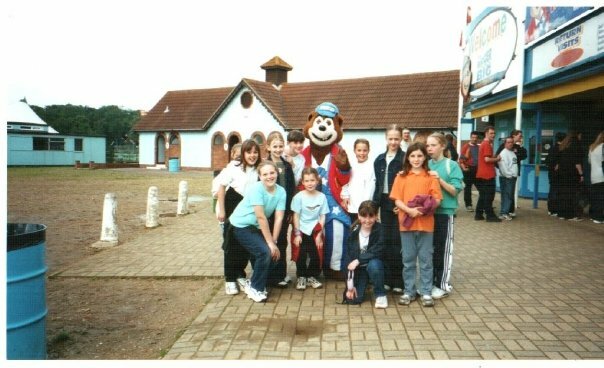 I remember the annual ‘camping’ trips where we actually stayed inside a Church, had chores, and always visited Pleasurewood Hills. I remember the uniforms, and learning to march and having 20p to spend at the ‘tuck shop’ (penny sweets, Freddo bars etc). Girl’s Brigade is where I learnt to crack eggs; tie ties and line dancing. I am sure there are many more memories bouncing around inside my mind but there are only 2 that really stick out. The first is actually the first night I went to Girl’s Brigade (at least in my mind it is, though that might not be true). They were making papier-mâché animal puppets using balloons. I got the long, squiggly one to become a snake. The reason it really sticks is because I am not one of those people who are happy to get messy (which is one reason I don’t usually like doing baking that involves using my hands), but one of the leaders clearly was. She tut-tutted at my slow attempt of brushing the glue on the newspaper and promptly took it out of my hands and dunked it in the glue and insisted I follow suit. As I was quiet and shy at that time (yes, I really was quiet and shy for most of my childhood and teen years), I didn’t dare argue with her, especially as it was my first night, and so tentatively followed suit until I was left alone. Now whenever I think about papier-mâché that is what comes to mind. The second is a sleepover. It wasn’t just our troop that went (in fact, I don’t think many of our troop did) so it was a chance to meet lots of other girls. I don’t actually remember any of the details of the two days I was there, except singing the ‘Witch Doctor’ song (I have no idea which version I know as looking on Wikipedia tells me it’s been about since 1958, but it was popular at the time) with everyone in my room. The thing is, I didn’t actually know the song – I wasn’t caught up on anything popular and didn’t listen to the radio much so it was completely new to me. And so every single time I hear the song or, more often, get it stuck in my head, it takes me back to that room of strangers and feeling accepted despite not having a clue what they were going on about. Even without being able to pick apart every memory of my life in the Girl’s Brigade, it was an important part of my life – anything that took up that much time has no other choice but to be I guess. I don’t remember what it was like, or why I went every week; but when I think about all the (many, many) things I was a part of in my childhood, Girl’s Brigade will always be one of the first I think of.